For 30 minutes Sunday – it all seemed to come together for the Titans. Then, as quick as they built what seemed to be a dominating 25-point lead – they blew it. And looked ugly in the process. The Titans fall to 1-4 on the year, losing a game that many had as a “W” in the standings after the second quarter, falling 29-28 to the Browns. How bad was it? 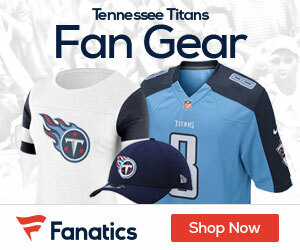 It was the biggest comeback victory in Browns history and also the Titans’ biggest blown lead since relocating from Houston to Tennessee. The Titans had two picks called back due to penalty, and even tried to gamble late, going for it on 4th and inches with backup QB Charlie Whitehurst on a sneak that totally failed. The gamble came with 3:09 left on their own 42, and Whitehurst was stuffed as he could not pick up the first down. The Browns took over on downs, trailing 28-22, and five plays later, it was over. The defeat came when Browns quarterback Brian Hoyer connected with Travis Benjamin on a 6-yard touchdown pass to tie the game. 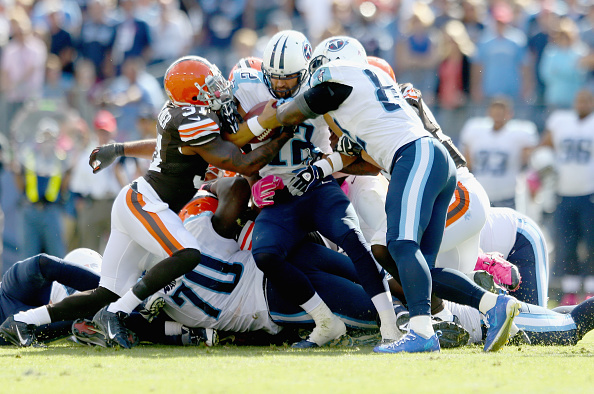 Billy Cundiff’s extra point gave the Browns a 29-28 edge, sending the Titans faithful home stunned. Jake Locker got off to a hot start, but got knocked out after Browns linebacker Chris Kirksey used his forearm to hit Locker in the head when the Titans quarterback scored his touchdown in the second quarter. He left for good when Cleveland cornerback Buster Skrine hit Locker in the helmet as the quarterback was attempting a pass. Locker injured his throwing thumb on the play. He went to the locker room a never played a down, but Whitehurst got the team to 28-3 with a pair of TD’s before they simply shutdown. Locker was 8 of 11 passes for 79 yards and a TD while also rushing four times for 34 yards and a TD. Whitehurst completed 13 of 21 passes for 194 yards and two TDs. There’s no way to cover up how bad this loss it – only try to rebound from it. Again. It’s not a bad loss. It’s just Oilers football. When the Oilers/Titans make up their minds not to win a game, they will always find a way. You can take the Oilers out of Houston…but you can never take the Oilers out of the Titans!